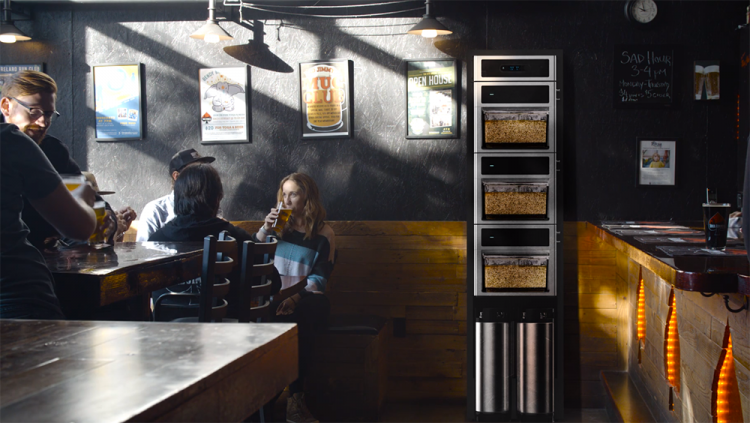 PicoBrew is the father of automated homebrewing, and they just launched a new modular brewing system called the Pico Z. The Pico Z is based off of the original zymatic, but can be stacked to increase brewing capacity without taking up more square footage in your brewery, restaurant, or home. The Pico Z was just became available for pre-order in February of 2018 and will ship in July of 2018. It was born from previous launches in the Pico line, and as such, is one of the most appealing. This automated brewing system is unique in the fact that you can brew with their branded recipes called PicoPaks, or use your own crush grains and hop pellets to brew beer. This opens up options for breweries to use it as a pilot system to test recipes. The main difference between Pico Pro (or the newer Pico C) vs Pico Z is that the smaller Pico Pro is reliant on PicoPaks and brews smaller amounts, while the Pico Z has more flexibility into customizing ingredients and is also scalable to really ramp up production. Each Pico Z module that you use can brew 2.5 gallons of beer with a grain capacity of 9 lbs. You can have as many as 4 units stacked, each adding another 9 lbs of grain capacity and 2.5 more gallons of finished beer. As long as you have at least 2 Pico Z units, you can brew 2 different batches at the same time. One 2.5 gallon batch in one unit and a different recipe in the next. This allows you to test up to 4 different recipes at once in a small 18” x 18” space. You could brew 4 variations of one recipe to find the best iteration in one single brew session, or brew 4 totally different styles. In regards to power needs, a single unit uses 120V power, but you will need access to 240V (dryer hookup) for 2, 3 or 4 units. Should You Brew Your Own Ingredients, or Use PicoPaks? This will come down to your experience level and comfort creating your own recipes. PicoPaks are precrafted recipes created either breweries or other Pico owners. If you’re interested in brewing a custom recipe, but still want a little bit of hand-holding, you can create a custom PicoPak. The caveat there is there are some limitations to the custom Pak builder. If you find it too limiting, or you want to grow into creating your own recipes from malted barley, the Pico Z allows you to transition seamlessly since it can brew Pico Paks and traditional all grain recipes. One of the biggest Pros of the Pico Z is the ability to test multiple recipes, or brew multiple styles at the same time. If you wanted to test a few different yeast strains for a brown ale, but wanted to move it to larger production in a month, that’s not enough time to brew 4 different times. It would at least require 4 brew sessions, or 16 hours if you moved the beer to separate fermenters. Another great thing about this automated brewing system is the small footprint, provided you have the vertical space. 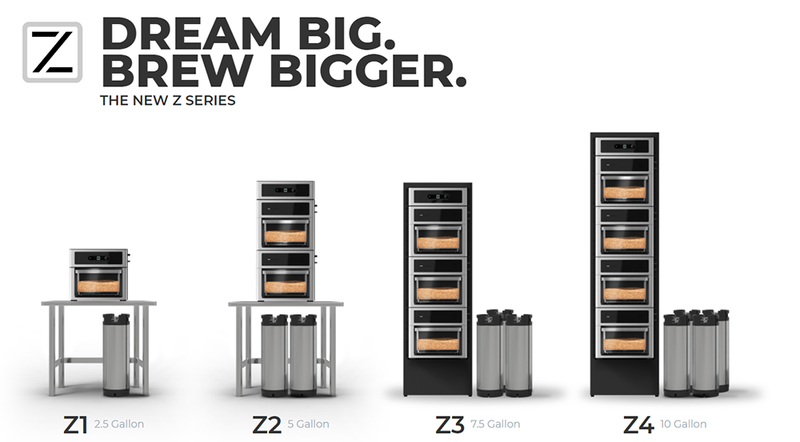 The Z4 (four unit system), is just shy of 6 feet tall, so it likely wouldn’t fit on a workbench, and would need to sit on the floor. The Pico Z allows you to use their Pico Pak recipe system, or brew a completely custom recipe using your own grain and hop pellets. Another little benefit the Picobrew Z has is it claims to be able to brew kombucha and cold brewed coffee. To fully use the Pico Z to its potential you will want to have at least the Z2 (two unit system), which does require 240v power. This isn’t really a concern for restaurants and breweries, but many homes only have one dryer hookup, so make sure to account for that. It doesn’t appear that you can currently purchase one unit, then purchase additional Z units down the road, however it is in option that will be available in the future according to PicoBrew. When will I be receiving my order I haven’t got any emails regarding my preorder since I paid. I cancelled my Z and got a Brewie+. Best decision i have ever made. It has more features and cost less too. Brewie seems much more responsive in general than Pico lately. I gave huge praise to the Pico Pro when it was released, but it seems like Pico Brew is being run by an engineer that gets a new idea every day. Way too many product lines to efficiently perfect and support each one.